The UnstampaBelles March challenge is Unlock Your Potential with the twist of Use a Key. 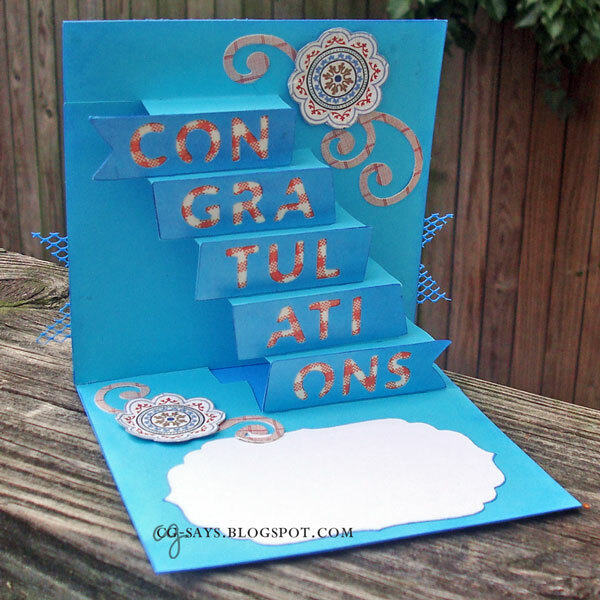 I made a card for my brother-in-law's family, who just moved for his super new job. 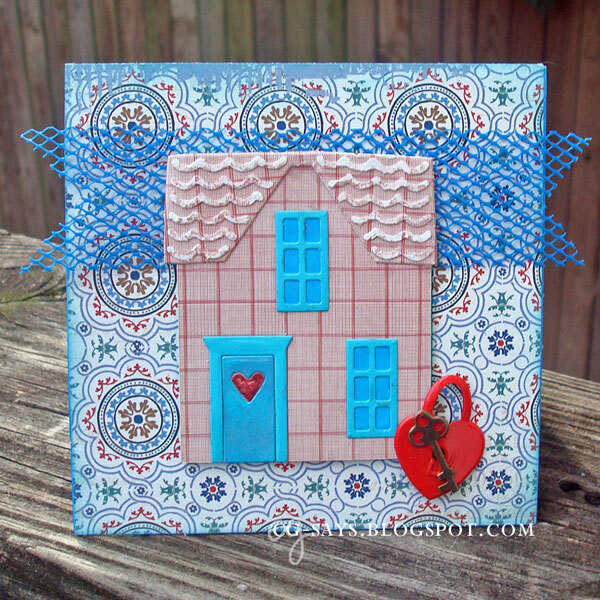 The house, including the pieces, are from Karen Burniston's "Holiday House" die set from Elizabeth Craft Designs. The inside pop-up design is from Cricut's Simple Pop-Ups cartridge. Update: This was the winner Crafty Catz #314! Wow what a clever card.